2-room apartment 52 m2 on 1st floor. Very comfortable and tasteful furnishings: living/dining room with 1 double sofabed, open-hearth fireplace, satellite TV and radio. Exit to the balcony. 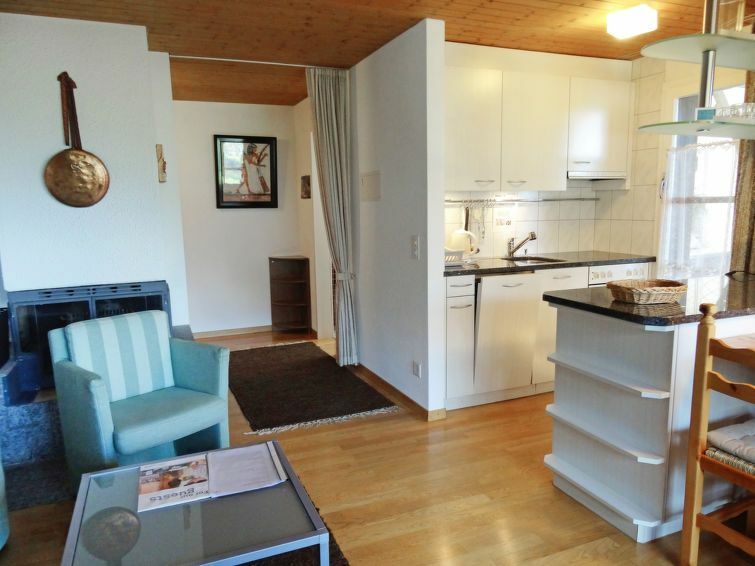 1 double bedroom with 2 beds (90 cm, length 180 cm). Open kitchen (4 hot plates, oven, dishwasher). Shower/WC. Large balcony. Terrace furniture. Marvellous view of the mountains. Facilities: Internet (WiFi). Reserved parking. Please note: non-smokers only.